Step 3 “Be Talking and Listening.” Zack asks one of his clients, Helen Mintz, “Is there a good way to have a conversation with an aging parent so that you can tell them they need help and they will actually listen? !” Client gives real-life example and insights. Zack shares article by Toby Ehrlich, LCSW, CALA “Having that conversation with your parents” sharing a suggestion on how to have this conversation. 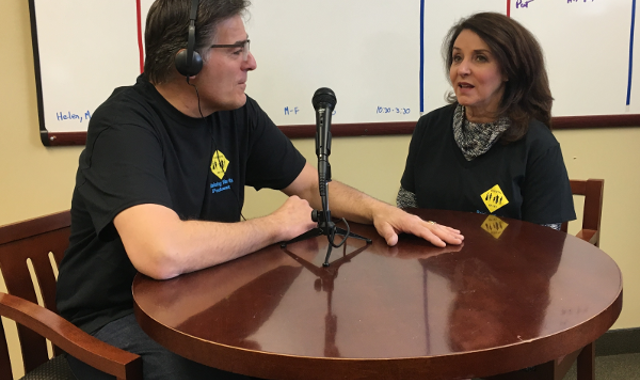 Scott Greenberg, ComForCare owner in Palm Beach Florida, senior advocate, author of Oh My God I am Getting Older And So Is My Mom, and host of radio show of the same name shares insight about conversations on both sides. Wife Phyllis shares real-life examples on looking for what is not being said. Step 4 “Be Patient.” Zack shares how patience is needed as a caregiver, especially with someone who has dementia. Refers to an article by Amy D’Aprix, a Social Worker, MSW, PhD, CSA found on a website caregiverstress.com. She shares tips on how to help you be more patient. Phyllis shares more personal experiences. Zack mentions the importance of self awareness and discipline. If you have feedback, a question, or a great story you want to share, email raisingrents@gmail.com, tweet @raisingrentspod, join our facebook group RAISING RENTS PODCAST. We can put your question in a future show or possibly have you star in a future show. I look forward to hearing from you. This show is dedicated to the Social Workers in our communities. March is National Professional Social Worker Month. Zack has the distinct privilege of working with Social Workers in the elder care industry in all settings–hospitals, sub acute centers, assisted livings, skilled nursing centers, to name a few. They are vital in helping families care for aging adults, getting them resources, ensuring a smooth transition home. The website for the National Association of Social Workers says: “Social workers stand up for millions of people every day. These include people who are experiencing devastating illnesses and mental health crises, our veterans, children, families and communities. Yet many people still misunderstand who social workers are and the invaluable contributions they bring to society.” Zack’s daughter-in-law Angelica Demopoulos is a Social Worker in the school system and she helps families obtain resources to assist children with disabilities succeed in the school system. Other music: “Better days” from Bensound.com. Last but not least, thank you to Zack’s wife Phyllis for her insights and stories. Podcasts: Are they an easy access resource for caregivers on the go?